Microsoft is bringing the dream of the Star Trek universal translator to businesses later this year with the launch of a new beta feature that offers live captioning of Skype for Business meeting broadcasts in 40 languages. Using Microsoft’s Bing Translator technology, speakers will be able to talk in one of a handful of supported native languages, and their viewers will be able to view computer-generated text translation of what’s being said. 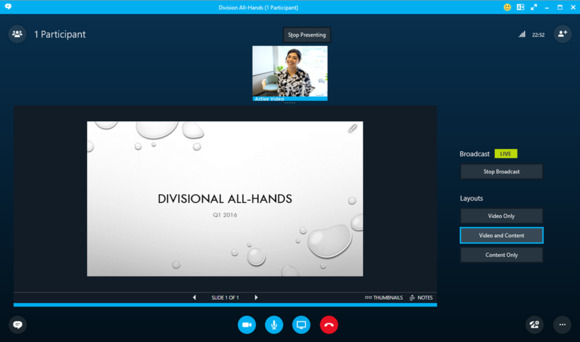 Skype Meeting broadcast is designed to allow a small number of speakers to broadcast a presentation to up to 10,000 viewers, for webinars, company meetings and other large occasions. Right now, those viewers can only hear the presentation in whatever language the speaker is using, but this translation feature will help bridge that language barrier. This launch brings a cool feature to Skype for Business that’s based on technology previously used in the consumer version of Skype. 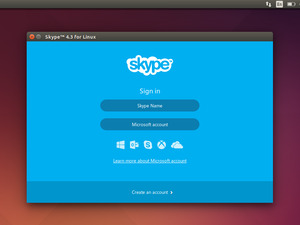 It comes at a time when the company is pushing hard to get Skype for Business in use at as many companies as possible. Microsoft faces stiff competition in that arena both from established players and upstarts like Slack and Hipchat. Last year, Skype introduced Translator to consumers, which handles live, person-to-person transcriptions in calls and text messages. This feature is a pared-down version of what Translator does—Meeting Broadcast is built for situations where only one person is speaking at a time, without cross-talk—but it has serious implications for business users who want to reach an international audience. The feature may also be a boon to hearing-impaired users, who will now be able to get live captions from feeds that are sent over Skype Meeting Broadcast. Microsoft hasn’t set an official release date for the feature, and the company hasn’t yet said which input languages are available. The back end of the system is powered by Bing Translator, which can handle voice input in seven different languages, but they may not all be supported by Skype for Business when the translation feature launches. 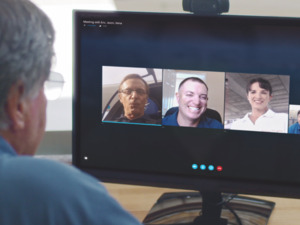 All of that news is part of an expansion of Skype for Business features that Microsoft announced at its Worldwide Partner Conference in Toronto on Tuesday morning. Other changes include the launch of a Skype Operations Framework, which is designed to help guide Microsoft partners and customers in deploying and operating the business communication software. On top of all that, the service’s PSTN Conferencing feature, which lets people call into Skype for Business meetings using a regular phone rather than an app, now works in 92 countries. This month, Microsoft added support for Venezuela, Uruguay, Vietnam and Kenya, in addition to countries that the feature already supported.